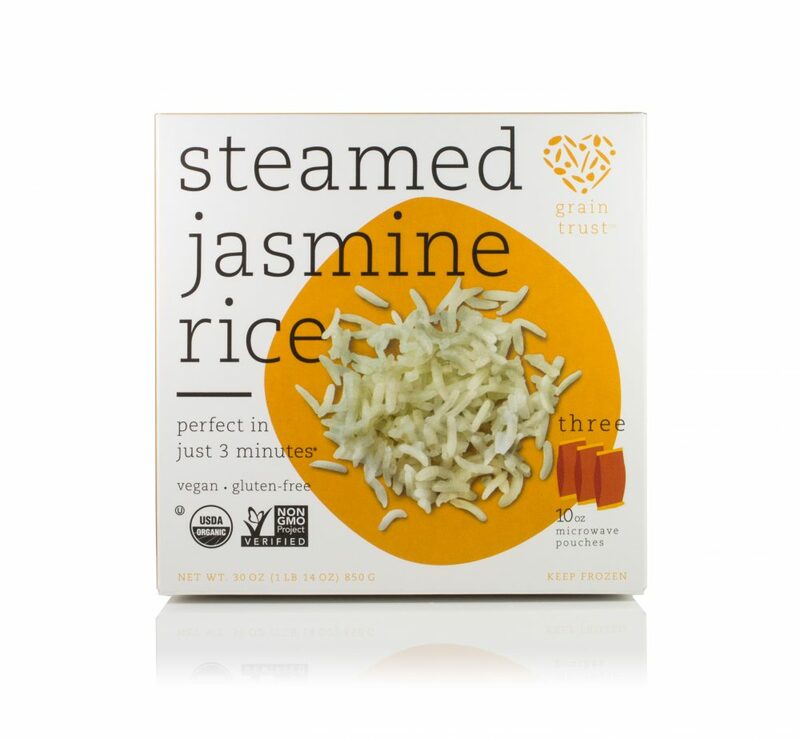 1Cook the Grain Trust frozen Organic Steamed Jasmine Rice according to the instructions on the package. 2In a large frying pan/wok over medium-high heat, warm 1 tablespoon neutral flavored oil until hot. 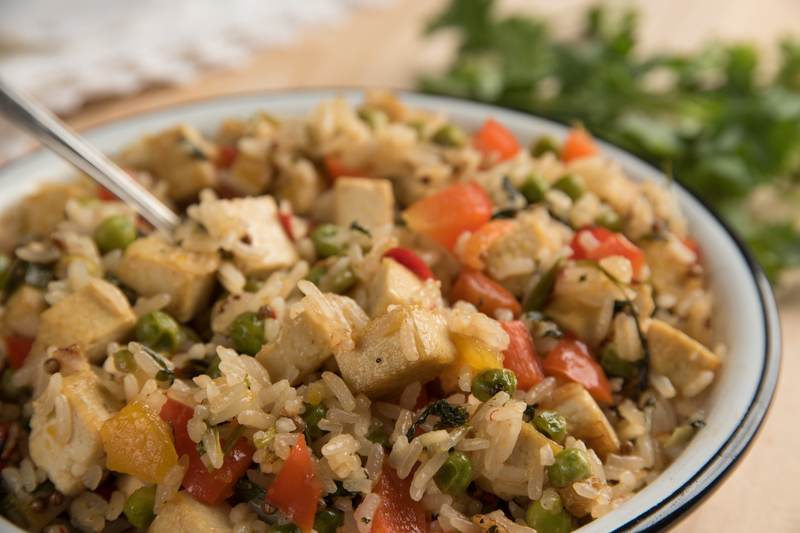 Add the tofu and red bell pepper and cook for 3-4 minutes, stirring constantly. Add the peas and coriander seeds. Cook for 1-2 minutes. 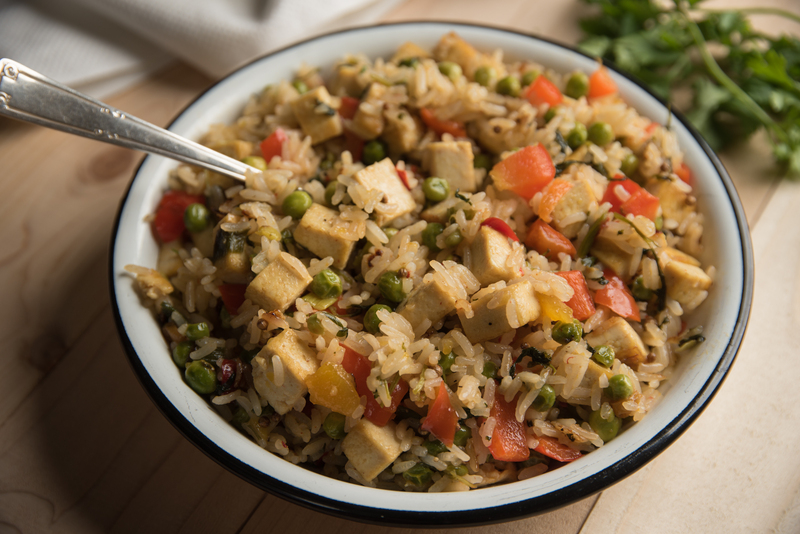 3To the pan, add the cilantro, green onions, cooked rice, chutney and tablespoon oil. Season to taste with salt and pepper.